Well it was moderately traumatic, but we all got through it. I had to bring in Marina four times to do the blood glucose test over the whole day. And they determined she needed human insulin and wanted me to bring her in again for the test. I managed to get a bottle of insulin from a friend since it was close to $300 even with the company’s “coupon.” And I bought a blood glucose meter and figured out how to get a drop of blood from her ear. Marina was far less traumatized than I was by the whole process. I now have her stabilized around 200. She eats like a wild thing in the morning. And then it evens out throughout the rest of the day. She’s gained back the weight. She’s not sucking down 3 cups of water a day. And I don’t have to clean out the litter box three times a day. We’re all quite a bit happier now. I noticed that my cat Marina was drinking more water and peeing a LOT more since about December. I mentioned it when I brought her in to the vets for her annual checkup in February, but nothing else seemed out of sorts and they advised to just keep an eye on her. Well, She weighed around 11.5 lbs in February. I weighed her on my scale and she was about 10.5 lbs in April. I made an appointment right away. She was down to ten pounds 3 ounces at the vets. She didn’t feel right. More like a bag of bones. I was trying not to appear to be worried. The good news is she only had feline diabetes. Hey I was thinking liver cancer. So diabetes is manageable. And they suspect that we may be able to reverse it with diet. I started her off on insulin shots twice a day this past Monday. Here it’s Saturday and she’s noticeably better. Her fur seems better. She’s not drinking so much water. And when I pick her up, she feels a little more substantial. Giving the shots isn’t as bad as I feared. I’m not hurting her. The gauge needle is tiny and it’s a fast maneuver. I’m injecting her between the shoulder blades. I’m pinching up the skin, and poking in the side like a tent, and then injecting into the side of the pyramid. One unit twice a day. I love how she’s got more energy again and trying to mug me for my tuna fish at lunch. She’s meowing instead of silent meows. We’ve had some fun with the high protein low carb diet. And she’s definitely getting spoiled. If she rejects what I put out, she knows I’ll dump it and put something else out for her. Thankfully, when she does like something, she will eat it. She’s not trying to mess with me. I did find a high protein kibble that both the cats like. I tried a few different types. They liked X and Y but really didn’t like the expensive Z that was in a refrigerated case. I’d been trying to feed Winston the same wet food but most of it he didn’t like, and I don’t want him to feel like he’s being punished because Marina got ill. So he’s been getting Friskies Crack Wet Food. And in typical Winston fashion, he didn’t want to eat it because it wasn’t what Marina got and what she had must have been better, right? So then I offer him what Marina has & he rejects it. He’s just being a diva. Cats are remarkable creatures. They share a history with human beings that rivals pet dogs. Some societies have history’s that represent feline’s as good cozy hearted creatures, while various other societies have folktales that tell stories concerning cats being the origin of all that profanes. On one hand pet cat’s are warm and comfortable animals that anticipate cuddling as well as enjoying their human beings, on the various other hand the very same feline could go for weeks without ever looking at its human. Among the most appealing aspects of felines is their tidiness. Pet cats almost house train themselves, simply show them where the litter box and they are ready to use it, if you keep the litter box clean you cat will certainly compensate you by never making a mess in your home, (although some do choose potted plants to the litter box). Many felines are happy to invest hrs cleaning themselves, using their tongues to remove the dirt from their bodies and also to correct their hair. Viewing a feline wash itself could be a hypnotic experience for its proprietors. We are so familiar with our home felines taking care of their own sanitary needs that we in some cases fail to remember that they, much like pets, need us to aid with their pet grooming. 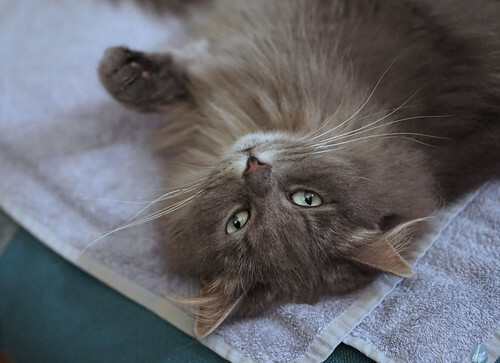 It is the feline owners duty to make sure that the cat’s nails are trimmed, that any kind of specifically nasty mats and also knots are eliminated from their layers, which their teeth are maintained tidy and also free of tarter and degeneration. In order to make certain that your pet cat is effectively groomed you need an extremely standard collection of equipment, your tool kit of cat brushing materials. The fist thing you require in your feline brushing toolbox is a brush. This brush have bristles that are solid sufficient to remove mats as well as debris from your pet cats layer, yet still soft enough that they will not draw and also tear at your pet cat’s delicate skin. If you have a pet cat that seems to be specifically vulnerable to obtaining substantial knots in its coat you will wish to buy a specially developed mat spreader. Unless you have actually had your home feline declawed your feline will should have its nail clipped. In the wild pet cats require their sharp claws to guard themselves and also to assist them record and also kill prey, Feral felines maintain their nail from coming to be overly long by walking around on difficult surface areas that put on down the nail, maintaining it sharp. The only actual use residence pet cats have for their claws is scraping furniture and also occasionally swiping at their human carers. It is the carers duty to make sure the feline’s nail get trimmed whenever they get long. If you have never ever trimmed a feline’s nails watch a specialist family pet groomer or your cat’s veterinarian cut your feline’s nail initially. Oral care is an integral part of your pet cat’s overall wellness. It is important to make sure that your cat’s teeth are cleanse and free of indications of decay. Consult your vet will certainly have the ability to help you select food products developed for ideal feline health and wellness. It could be fluffy yet the method to do Persian feline care must additionally be according to exactly how you do it with various other cats. You need to carry out the tasks with love as well as affection, similar to being a parent to their youngster. The history of where this type of cats came from is varied relying on that you are speaking with. However a lot of would certainly claim that the name has something to do with its origin. It is stated that a few of the early Persian felines do actually originated from Persia. This country is currently called Iran. These pet cats are also thought to have originated from Turkey, along with England in the time of Crusades. This breed held an unique spot in the aristocracies of England or even to the king of Persia throughout the very early days. Such sort of people valued the possession of Persian cats. Possibly that’s the reason why until now, Persian cats appear to stroll the stroll. They look like they have something elegant about them. Persian felines’ body built can vary from medium to large. It may show up fluffy like a cushion however really has a good muscular tissue tone. The fluff or its coat has a fine texture and seems to be lively. That is what gives the look of richness to this type. Caring for your Persian pet cats need not be as regal as they seem to be. The concept is to be responsible as well as do your jobs accordingly. You need to supply your pet with the most effective kind of types of food. They are not humans as well as their needs are a lot different from you. So do not offer them your leftovers. 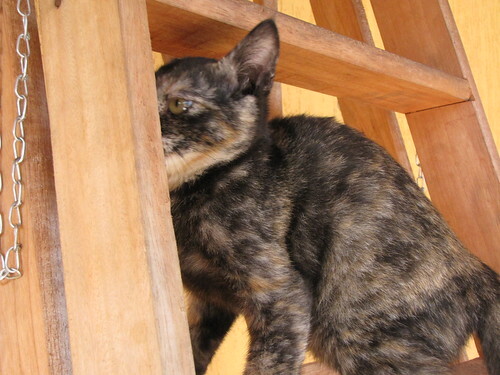 Select the high quality pet cat types of food baseding on your budget. Make certain that you give them the types of food as fresh as feasible. Don’t allow your felines touch ruined food or else it could create them illness like diarrhea or indigestion. Always maintain their litter boxes. They have a delicate scent. As well as they don’t such as anything that has an odor. This will certainly also do your home excellent because you will have the ability to maintain points neat. As well as of course, understand your pet. You need to note them well. You need to understand when something’s wrong. Have the vet inspect them yearly and whenever required. Much like a youngster, there are inoculations that your cat should have. You need to include that on your month-to-month spending plan. So you much better inspect your veterinarian for some insight on how much you need to allocate for each and every month’s examination up, if there would certainly be any type of. And also, of course, you have to take time to truly care for your pet dogs. Take time to play with them. They need to really feel that you enjoy them. Invest high quality time with your cats. If you will certainly be having various other pets in your home, require time and also strategize on consisting of the brand-new one to the whole system. Your cats tend to obtain jealous when they do not reach the attention that they used to have. It may lead to anxiety and depression. If you do not take notification, this may worsen. So you consistently have to be extremely mindful. Enter the groove of your Persian feline care. As well as you will be amazed that with time, you will certainly be able to develop ways to determine the indications and act upon them before it becomes far too late.